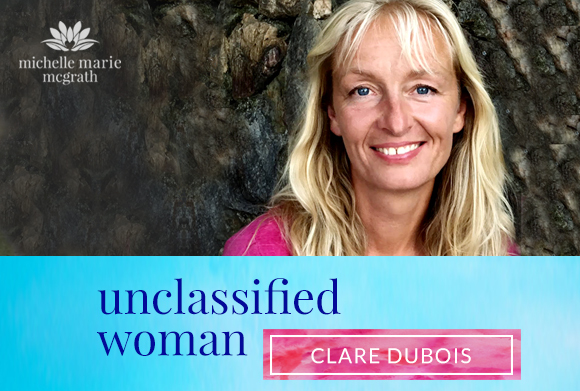 Welcome to a special episode of Unclassified Woman today with the inspiring Clare Dubois. Clare is the founder of TreeSisters, which is a feminine nature-based organisation, inspiring the world’s women to take shared leadership and responsibility for tropical reforestation. TreeSisters reflects Clare’s exploration of the links between feminine consciousness and nature’s intelligence. She and her team experiment overtly to figure out how to call forth the unique capacities and creativity of women on behalf of trees. They aim to be funding ONE MILLION trees per month by the end of 2017! It’s time for an eco-revolution! Clare is known for her direct catalytic energy, her whole systems approach to behavioural change and her unending loyalty and love for the natural world. I believe that Clare is a great example of this and a role model for us all. She’s someone who has thrown herself into her life mission, and she explains eloquently how female leadership and eco-revolution are a natural partnership. Trees absorb CO2 and trap the heat that causes global warming. If the trees aren’t there, the CO2 dissolves in the oceans and harms the food chain there. We need kelp and trees because they are most effective at sequestering carbon. Exciting upcoming focus for TreeSisters. Humanity is running out of time, but it’s not over yet. It’s going to take everyone rising to the challenge to get through what is coming. Go to Billion Trees here and join the campaign. Become a Treesister here. I do hope you enjoyed this episode with this important message from Clare. Please join us and become a Treesister! To help spread this message please leave us a review or rating on Itunes and share with your friends. Let’s all be more conscious of the future we are creating. Thank you!